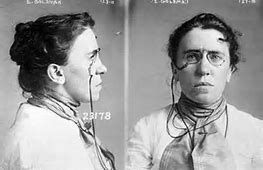 Anarchist Emma Goldman was co-owner of an ice cream parlor in Worcester, Mass. 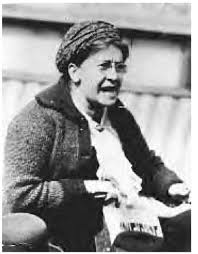 I have come to Worcester, the Industrial Abrasives Capital of the World, to meet the woman whose modest goal is to ignite the class rebellion that will topple the Titans of Greed and usher in a New Worker’s Paradise; Emma Goldman, anarchist agitator, fiery public speaker, birth control advocate, anti-capitalist, anti-militarist, anti-whatever-you-got-on-sale-today, but first and foremost, Purveyor of Fine Ice Cream Specialties to satisfy the sweet teeth of the Masses. As a subterfuge to conceal her revolutionary aim to overthrow the Fascist Forces of Nutrition, I consider her Anarchist Ice Cream Parlor a stroke of genius. 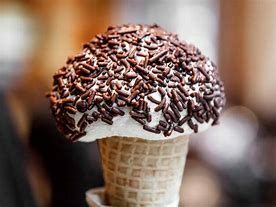 Given a choice between eating a healthy snack–raisins, carrots, celery sticks–and something sweeter and bad for you, who can resist a scoop of peppermint with a handful of “jimmies” (known in the rest of this benighted land by the humdrum term “chocolate sprinkles”) on top? No one I know. Get those kids hooked on butter brickle, chocolate swirl, Neapolitan, even pistachio while they’re young, and they’ll be dedicated revolutionaries by the time they’re big enough to toss a brick through a factory window. Smuggled into Worcester in violation of Woodrow Wilson’s Anti-Jimmies Act of 1917. The shop is located at 82-88 Winter Street, so I pick 85–splitting the difference–and peer within. Even though the joint is supposed to open at 3 every afternoon, it’s closer to 3:30 and still no signs of life. Wait–I can dimly see at a back table Emma and . . . is that Alexander Berkman? Yes it is. Must be plotting to bump off a robber baron like Henry Clay Frick. I’m not going to spoil their party, but with the benefit of hindsight I could tell them that far from triggering a worker’s revolt, Frick’s employees will come to his defense and beat Berkman senseless for trying to kill their boss. As I like to say, those who will not learn from the future are doomed to repeat it. I rap on the window–I love ice cream but mom always told me not to spoil my dinner, so I’d like to get a few scoops of mocha java in me before it gets too late. 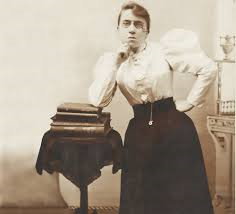 Site of Emma Goldman’s ice cream shop. She exhales in disgust, and I suppose I can’t blame her. “I have much more important things to do, but I suppose I can exchange my humble confections for your filthy lucre,” she says. She puts on her apron and takes her place behind the counter. I notice there is no signboard overhead to tell patrons what flavors are available–it’s sheer anarchy–so I look down to see if I can guess the flavors from their colors. “The brown ice cream–is that mocha java?” I ask, hoping against hope that there’s some consumer choice here, and I’m not consigned to eat the ice cream equivalent of the Trabant, the classic East German vehicle so beloved by people who view a car as an appliance on wheels. 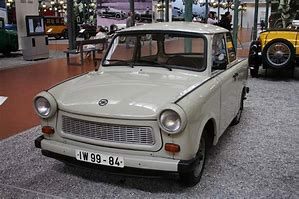 Trabant: Available in grey and gray. I’m shocked–apparently Miss Anarchy of 1889 does have a marketing bone in her body. 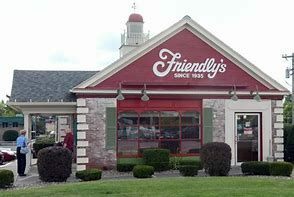 While I generally resist cutesy-pie names for foods–I refused on principle for many years to order a “Fish-a-Ma-Jig” sandwich and a “Fribble” frappe at Friendly’s restaurants, I decide to play along. “Were the workers crushed in Czarist Russia, or by Captains of New England’s Textile Industry?” I ask. I need to cut her off. Once she starts speaking, she’s been known to go on for hours, and even incite riots. “Great–two scoops,” I say, looking at my watch to let her know I don’t have all day. She rolls up her sleeve and starts scooping out of one of those cardboard bulk tubs like a steam shovel digging for coal, and in two shakes of a lamb’s tail–all right, maybe three–she’s built a nice pile for me atop a sugar cone. 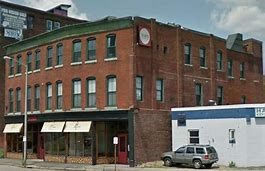 While others might blanch at that price, the thing I love about Worcester is that it’s a great low-cost alternative to Boston. The same cone would cost me five, maybe six dollars once you get into the 617 area code, so no complaints from me. “So, how’s business?” I ask Emma, hoping to gain some insight into her mind. What is it, exactly, that makes her tick? Is it memories of her abusive father, the corporal punishment she suffered at the hands of a teacher in Konigsberg, her years toiling away in a sweatshop? “And what would you suggest?” she says with a sneer. Makes sense; when I was a kid, all it took was finding out there wasn’t enough ice cream in the freezer for everyone, and anarchy resulted.